With two rounds of games remaining in La Liga's season, Cristiano Ronaldo has a six-goal lead on Lionel Messi in the pair's head-to-head scoring battle. ESPN's projection model predicts that Messi, who has scored three goals in his past four matches, has a great chance to score a multi-goal game when Barcelona host crosstown rivals Espanyol. But Ronaldo, too, is expected to get on the score sheet when Valencia visit the Bernabeu. Numbers for Messi are based on him starting the game. Last season, Messi scored a hat trick when Espanyol travelled to the Camp Nou while Ronaldo was held scoreless at home by Valencia. Ronaldo remains the strong favourite to win the pair's head-to-head scoring battle during the course of the season. 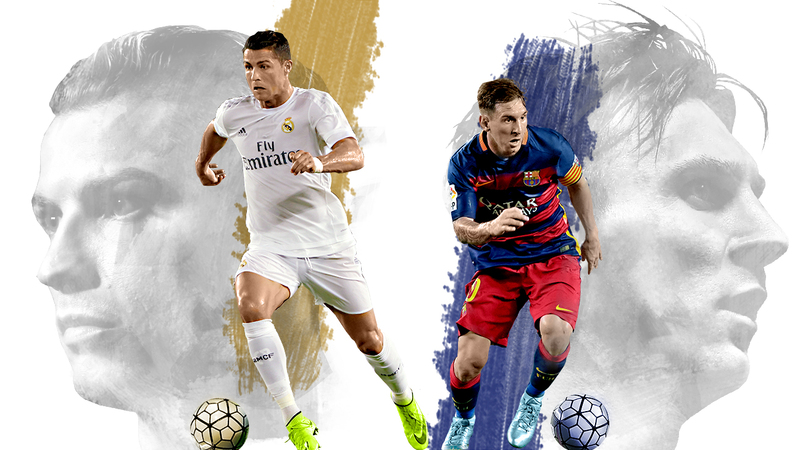 Between them, Ronaldo and Messi have won the past six Pichichi awards, given to the leading scorer in La Liga. Messi missed two months of the season with injury, which decreased his chances to hit various goal landmarks. He is still predicted to end the season with an impressive haul, but Ronaldo is tipped for higher numbers. Messi has 311 career goals in La Liga. Ronaldo has 256.